Who says Koi and pond plants can’t be put together? This pond shows that it is just a natural. 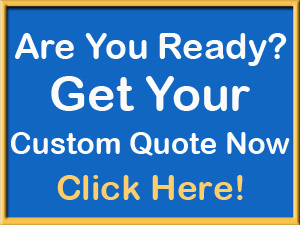 A pond builder has a responsibility to find the best way to find just the right combination of the desires and the right pond design to make it all work together. 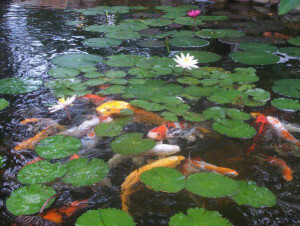 This pond shows a great example of a balance between aquatic plants and Koi. If you have a large amount of pond plants that are well established then your pond fish will be less likely to disturb them. It is true that if you add large Koi to a newly planted pond they are likely to eat and pull out the plants from their soil. 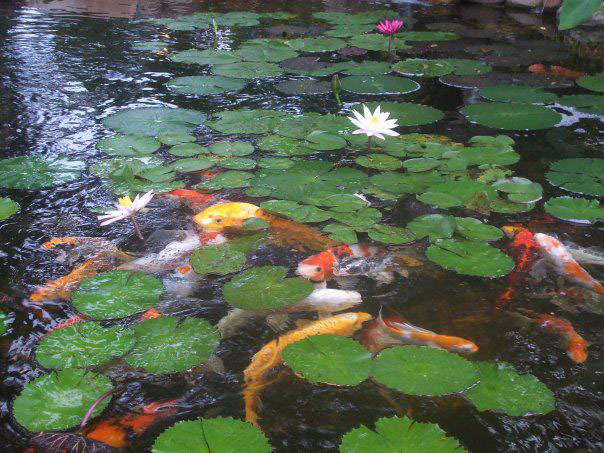 How beautiful a balanced Koi pond looks!